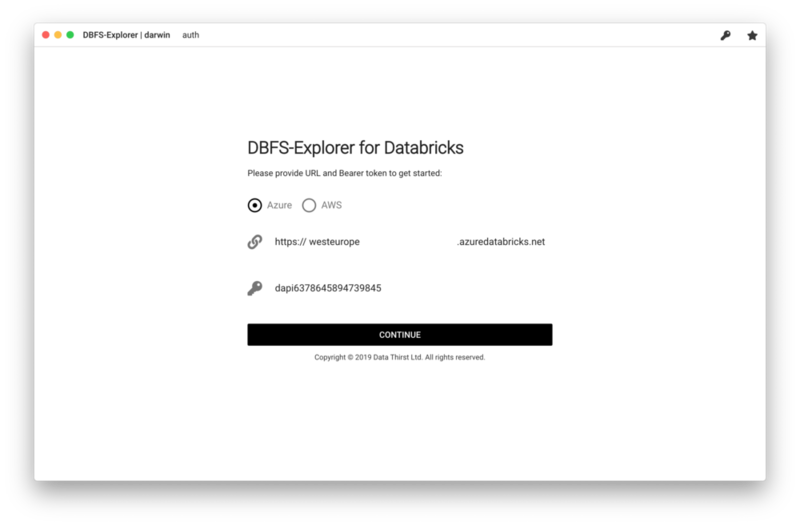 DBFS Explorer was created as a quick way to upload and download files to the Databricks filesystem (DBFS). This will work with both AWS and Azure instances of Databricks. You will need to create a bearer token in the web interface in order to connect. This is a cross platform tool - binaries are available for download here.